Firstly a confession: I am the worst creature in the world to take the planned food. The moment I think of food control, the intense desire for chocolate and pizzas food is awakened. So, according to the situation, my weight loss was possible only through exercise, not limited to food. But after having my baby, for a long time, at gym or at home, I could not find the time and energy to destroy extra fat. I tried to eat healthy food but where I wanted, there was no thorn in the weighing machine. As I breastfed, healthy food was the obvious choice. But watching the child's care and child watching all day long, I am living a lazy and tiring life. And at the same time, a nutritionist friend, this problem is a biological label that literally changed my life. Now everybody considers food management to be equal to something which enrichs only those which can be implemented through precision and planning. When I saw celebrities in their well balanced food list with celebrities, and posting a breakfast with a parboiled house fish or paraphrased broccoli, I always think that looking for the nutritional food, the peasants' market is spreading, and then they have been decorated on the plate for several different occasions. A great exercise. I agree, this is not my favorite thing, that is, not my cup of tea (and what I said, I love my tea extra sweet!). I wanted a plan that is simple, effective and indigenous. And Maa Bhaira, I got this amazing result! At the right time I accepted the advice of a dear friend and without adding anything to other things, I added only one fruit to my diet. And this amazing fruit is watermelon. I eat watermelon twice daily. However, I started eating watermelon instead of my lunch or dinner, which should not be made by a new mother - before you think of it that I did not do all these things. Anything that can be eaten by hand, I continue to eat everything (or perhaps a better sound of gobble). But at my breakfast I ate a big bowl of watermelon after an egg. My evening snack was again a bowl watermelon. Sometimes, I used to make nuts and walnuts in the bowl to finish the cremation and diversity, and finished it in the chest. And yes, since I could get disturbed by the frequency of the same bowl of human and sometimes breakfast, so I occasionally took dumper or papaya instead of it in the evening. Watermelon that helped to regulate my weight within a month, not only did it work as a wonderful food to remove toxic substances in my body. I looked good to see, my skin was moist and my body looked brighter. 90% of this magic fruit contains only 50 calories in a large bowl of water and watermelon. Although it is mostly water, it serves as a nutritious nutrient and works as a fine cleaner for the body. I looked light on myself and my digestive system went right. 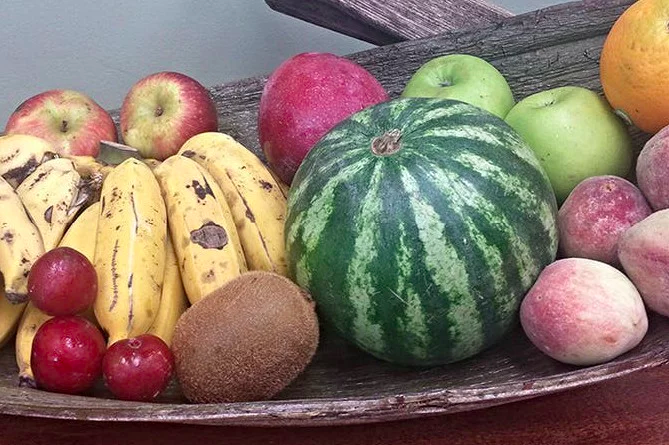 For a long time I have had my postpartum fat wasted and every time I returned to the fat and fat again, I got into my stomach, at first I sat down with a bowl melon. Needless to say, it is always kept in my house.